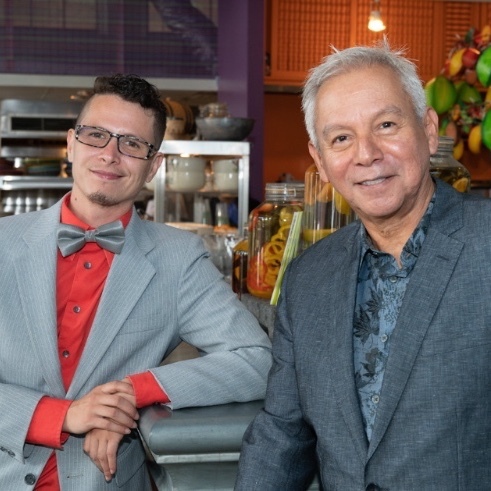 As the National Association of Latino Arts and Cultures (NALAC) approaches its 30th anniversary in May 2019, it announces the latest round of grant opportunities for Latino artists and arts organizations across the United States and Puerto Rico. Grants will support projects taking place in 2019, and applications are due Thursday, September 6, 2018. 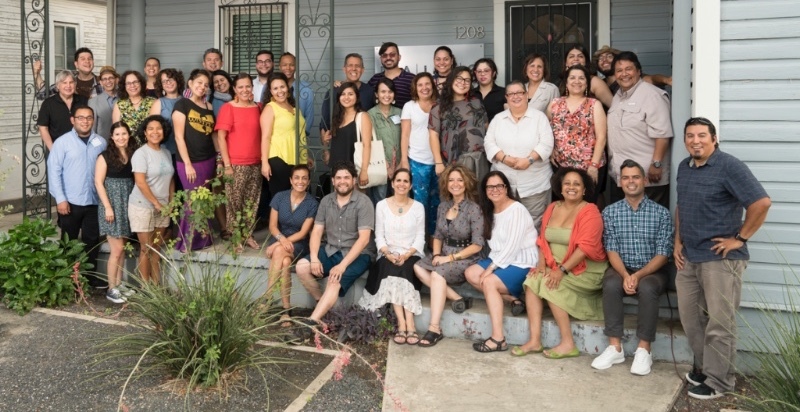 The NALAC Fund for the Arts is the only national grant program intentionally investing in Latinx artists and nonprofit arts organizations in the United States. Read more for details about new grants including the Mentorship Award ($25,000), our largest to date. Rosalba Rolón, Artistic Director of Pregones/PRTT and Board Member / Leadership Faculty at NALAC, has been awarded a Doris Duke Artist Award, a $250,000 grant of unconditional funding alongside other artists working in jazz, contemporary dance and theater. Cheech Marin's planned Chicano art museum in Riverside will receive $9.7 million from the California state budget. Chicana altarista Ofelia Esperza has received a 2018 NEA National Heritage Fellowship: “I never met my great-great-grandmother. But I know her intimately through altar making." The 18th NALAC Leadership Institute begins next week in San Antonio. This year's class is the largest ever! Thirty artists and arts administrators are convening for a week-long rigorous program in arts management and leadership development. Read their bios to learn more. Artists across the country are speaking out against ICE and child detainment. Memphis-based Yancy Villa-Calvo (ALI '18) presented an installation at the UnidosUS conference in DC protesting the administration's rhetoric. Artists in the Bay Area including Ani Rivera (NLI '11) and Yosimar Reyes (NLI '16) speak truth to power. Please nominate yourself or your peers as potential panelists for NALAC's peer-review grant panels. Our panels aim to represent a diversity of Latinidades, experiences, generations, disciplines, and geographies. This year's review period will take place in September with panels meeting virtually in mid to late October. Panelists review between 30-50 applications and receive an honorarium for their service. Please note, current applicants may not serve as grant panelists. National Geographic presents a survey on Latinos that includes interesting infographics-- there are stories of an all-Latino City Council in Idaho, Texas border towns, and socioeconomic shifts in Southern California. Ed Morales at the Washington Post reflects on the candidacy of Boricua New Yorker Alexandria Ocasio-Cortez as "the intersectional remix of Latino roots and socialist politics." The National Museum of African American History and Culture is hiring a Latino Studies Curatorial Assistant. They will work directly with Ariana Curtis, NMAAHC Latinx Studies Curator. Curtis has collaborated with NALAC via the Charlotte Regional, Intercultural Leadership Institute and Advocacy Leadership Institute! Find the listing and more details here. Have a job, call for entries or training that you'd like others to know about? Post it on our Opportunities listing on the NALAC website. It's free! In addition to our wonderful volunteers and donors, NALAC's work is supported by the Surdna Foundation, Andrew Mellon Foundation, Ford Foundation, National Endowment for the Arts, Doris Duke Charitable Foundation, Nathan Cummings Foundation, W. K. Kellogg Foundation, Texas Commission on the Arts, San Antonio Area Foundation and the City of San Antonio Department of Arts and Culture.